The current economic model for antibacterial drug development and commercialization does not provide sufficient financial returns that reflect the societal value that new antibacterial agents provide. As such, the pharmaceutical industry has largely focused their development efforts on therapeutic areas where greater profit potential exists resulting in a substantial innovation gap in antibacterial drug development. The number of new antibiotics in development is likely too small to withstand technical attrition and increasing rates of bacterial resistance. New market models are needed that reward innovation in antibacterial drug development and provide a stronger return on investment for companies still operating in this space. While rewarding innovation, these models should also promote stewardship of new antibacterial drugs and ensure access to all patients that need them. This chapter explores various proposals for alternative market models and their associated policy considerations. Disclaimer: The views expressed are those of the authors and not necessarily those of the Biomedical Advanced Research and Development Authority, the Assistant Secretary for Preparedness and Response, or the United States Department of Health and Human Services. B20 Health Initiative. Stepping Up Global Health Towards Resilient, Responsible and Responsive Health Systems. 2017. Available: https://www.b20germany.org/fileadmin/user_upload/B20_Germany_Policy_Paper_Health_Initiative.pdf. Accessed May 2017. Boston Consulting Group, Öpp Deutschland AG & Technische Universität Berlin. Breaking through the Wall Enhancing Research and Development of Antibiotics in Science and Industry. Global Union for Antibiotics Research and Development (GUARD) Initiative. 2017. Available: https://www.bundesgesundheitsministerium.de/fileadmin/Dateien/5_Publikationen/Gesundheit/Berichte/GUARD_Follow_Up_Report_Full_Report_final.pdf. Accessed May 24 2017. Centers for Disease Control. Antibiotic resistance threats in the United States. 2013. Available: https://www.cdc.gov/drugresistance/threat-report-2013/index.html. Accessed May 2017. Chatham House Working Group. Towards a New Global Business Model for Antibiotics: Delinking Revenues from Sales. 2015. Available: https://www.chathamhouse.org/publication/towards-new-global-business-model-antibiotics-delinking-revenues-sales. Accessed May 2017. Davos Declaration. Declaration by the Pharmaceutical, Biotechnology and Diagnostics Industries on Combating Antimicrobial Resistance. 2016. Available: https://www.ifpma.org/partners-2/declaration-by-the-pharmaceutical-biotechnology-and-diagnostics-industries-on-combating-antimicrobial-resistance-amr/. Accessed May 2017. Duke-Margolis Center for Health Policy. Antimicrobial Payment Reform Project. 2016. Available: https://healthpolicy.duke.edu/antimicrobial-payment-reform-project. Accessed May 2017. Ferraro J, Towse A, Mestreferrandiz A. Incentives for New Drugs to Tackle Anti-Microbial Resistance. 2017. Available: https://www.ohe.org/publications/incentives-new-drugs-tackle-anti-microbial-resistance. Accessed May 2017. Food and Drug Administration. The Orphan Drug Act. 1983. Available: https://www.gpo.gov/fdsys/pkg/STATUTE-96/pdf/STATUTE-96-Pg2049.pdf. Accessed May 2017. Garde D. Merck dumps 120 Cubist researchers after its $9.5B merger. 2015. Available: http://www.fiercebiotech.com/r-d/merck-dumps-120-cubist-researchers-after-its-9-5b-merger. Accessed May 2017. Global Antibiotic Research and Development Partnership. Developing new antibiotic treatments, promoting responsible use, and ensuring access for all. 2015. Available: http://www.dndi.org/GARD. Accessed May 2017. Innovative Medicines Initiative. ENABLE project. 2014. Available: http://nd4bb-enable.eu/. Accessed June 2017. Innovative Medicines Initiative. Incentives to stimulate antibiotic innovation: The preliminary findings of DRIVE-AB. 2016. Available: http://drive-ab.eu/events/drive-ab-project-events/drive-ab-conference-2016/. Accessed June 2017. Joint Programming On Antimicrobial Resistance. Strategic Research Agenda. 2014. Available: http://www.jpiamr.eu/document-library/workshop-reports/. Accessed June 2017. National Institutes of Health. Antimicrobial Resistance Rapid, Point-of-Need Diagnostic Test’ Challenge. 2017. Available: http://www.cccinnovationcenter.com/challenges/antimicrobial-resistance-diagnostic-challenge/. Accessed May 2017. O'neill J. Antimicrobial Resistance: Tackling a crisis for the health and wealth of nations. 2014. Available: https://amr-review.org/sites/default/files/AMR%20Review%20Paper%20-%20Tackling%20a%20crisis%20for%20the%20health%20and%20wealth%20of%20nations_1.pdf. Accessed May 2017. O'neill J. Securing new drugs for future generations. The pipeline of antibiotics. 2015. Available: https://amr-review.org/sites/default/files/SECURING%20NEW%20DRUGS%20FOR%20FUTURE%20GENERATIONS%20FINAL%20WEB_0.pdf. Accessed May 2017. Pew Charitable Trusts. Antibiotics Currently in Clinical Development. 2016a. Available: http://www.pewtrusts.org/~/media/assets/2016/12/antibiotics_datatable_201612.pdf?la=en. Accessed May 2017. Pew Charitable Trusts. A Scientific Roadmap for Antibiotic Discovery. 2016b. Available: http://www.pewtrusts.org/en/research-and-analysis/reports/2016/05/a-scientific-roadmap-for-antibiotic-discovery. Accessed May 2017. Pharmaceutical Research and Manufacturers of America. Medicines in Development for Cancer. 2015. Available: http://www.phrma.org/report/medicines-in-development-for-cancer-2015-report. Accessed April 2017. PRNewswire. CMS Grants New Technology Add-on Payment to DIFICID® for Treatment of Clostridium difficile-associated Diarrhea. 2012. Available: http://www.prnewswire.com/news-releases/cms-grants-new-technology-add-on-payment-to-dificid-for-treatment-of-clostridium-difficile-associated-diarrhea-164717586.html. Accessed May 2017. Seabury S & Sood N. Toward A New Model For Promoting The Development Of Antimicrobial Drugs. 2017. Available: http://healthaffairs.org/blog/2017/05/18/toward-a-new-model-for-promoting-the-development-of-antimicrobial-drugs/. Accessed June 2017. Sertkaya A, Eyraud J, Birkenbach A, Franz C, Ackerley N, Overton V, Outterson K. Analytical Framework For Examining The Value Of Antibacterial Products. 2014. Available: https://aspe.hhs.gov/report/analytical-framework-examining-value-antibacterial-products. Accessed June 2017. Sharma P, Towse A. New Drugs to Tackle Antimicrobial Resistance: Analysis of EU Policy Options. 2011. Available: https://www.ohe.org/publications/new-drugs-tackle-antimicrobial-resistance-analysis-eu-policy-options. Accessed June 2017. The White House. National Strategy For Combating Antibiotic Resistant Bacteria. 2014. Available: https://obamawhitehouse.archives.gov/sites/default/files/docs/carb_national_strategy.pdf. Accessed June 2017. The White House. National Action Plan For Combating Antibiotic-Resistant Bacteria. 2015. Available: https://obamawhitehouse.archives.gov/the-press-office/2015/03/27/fact-sheet-obama-administration-releases-national-action-plan-combat-ant. Accessed June 2017. US Congress. S.15 - Project BioShield Act of 2004. 2004. Available: https://www.congress.gov/bill/108th-congress/senate-bill/15. Accessed June 2017. US Congress. H.R.2182 - To provide incentives for the development of qualified infectious disease products. 2012. Available: https://www.congress.gov/bill/112th-congress/house-bill/2182. Accessed June 2017. US Congress. H.R.4187 - DISARM Act of 2014. 2014. Available: https://www.congress.gov/bill/113th-congress/house-bill/4187. Accessed June 2017. US Congress. H.R.2629 - Antibiotic Development to Advance Patient Treatment Act. 2015a. Available: https://www.congress.gov/bill/114th-congress/house-bill/2629. Accessed June 2017. US Congress. H.R.3539 - Reinvigorating Antibiotic and Diagnostic Innovation Act of 2015. 2015b. Available: https://www.congress.gov/bill/114th-congress/house-bill/3539. Accessed June 2017. US Congress. H.R.6 - To accelerate the discovery, development, and delivery of 21st century cures, and for other purposes. 2016. Available: https://www.congress.gov/bill/114th-congress/house-bill/6. Accessed June 2017. US Congress. H.R.1776 - Improving Access To Affordable Prescription Drugs Act. 2017. Available: https://www.govtrack.us/congress/bills/115/hr1776/text. Accessed June 2017. World Health Organization. Global priority list of antibiotic-resistant bacteria to guide research, discovery, and development of new antibiotics. 2017. 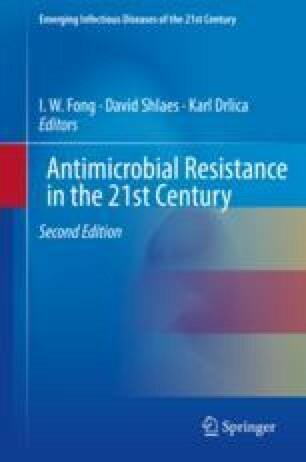 Available: http://www.who.int/medicines/publications/global-priority-list-antibiotic-resistant-bacteria/en/. Accessed May 2017.